We are just hours away from 2019, and millions of Americans are making New Year’s resolutions. One of the most popular resolutions involves health. The New Year presents a new opportunity to have a happier and healthier lifestyle. The American Medical Association has released a list of resolutions that will have a long lasting impact on your health. We are just hours away from 2019, and millions of Americans are making New Year’s resolutions. One of the most popular resolutions involves health. The New Year presents a new opportunity to have a happier and healthier lifestyle. 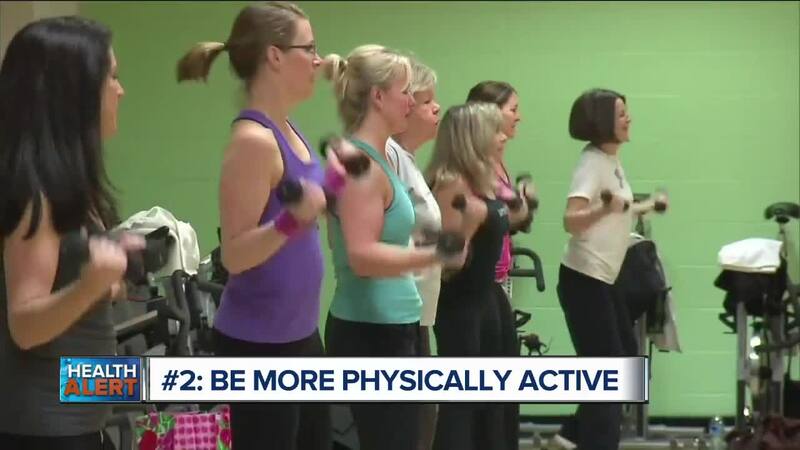 The American Medical Association has released a list of resolutions that will have a long lasting impact on your health. • First, find out if you are at risk for Type 2 Diabetes. This is one of the most common chronic health conditions, affecting more than 30 million Americans. But the Centers for Disease Control and Prevention estimates a quarter of these cases are undiagnosed. • Next, get up and get moving! Adults should get 150 minutes of moderate aerobic activity each week. And you don’t have to go to the gym. Some everyday activities count toward this goal, such as walking, cleaning, taking the stairs, and dancing. • Number 3, don’t eat a lot of processed foods that are loaded with sugar, salt, fat and chemicals. Cook more of your meals at home using fresh vegetables, fruits, and whole grains. Another tip – drink water instead of sugar-sweetened drinks. • Next, know your Blood Pressure number. Hypertension is a leading cause of stroke and heart disease. But you can manage your blood pressure with proper diet and exercise. A few more healthy habits for the New Year: Drink alcohol in moderation . . . Stop smoking . . . and Kick stress to the curb with exercise, meditation or yoga. You have to remember that you’re not going to get healthier overnight. It takes time and patience. So, set smaller, achievable goals. For example, work your way up to the increased physical activity. And, get a workout buddy so you can keep each other on track to a healthier, happier 2019.